Rarely is there an album so fantastic, that it inspires absolute excitement in multiple species. When music ignites the fire of dog and human alike, it’s truly a special thing. 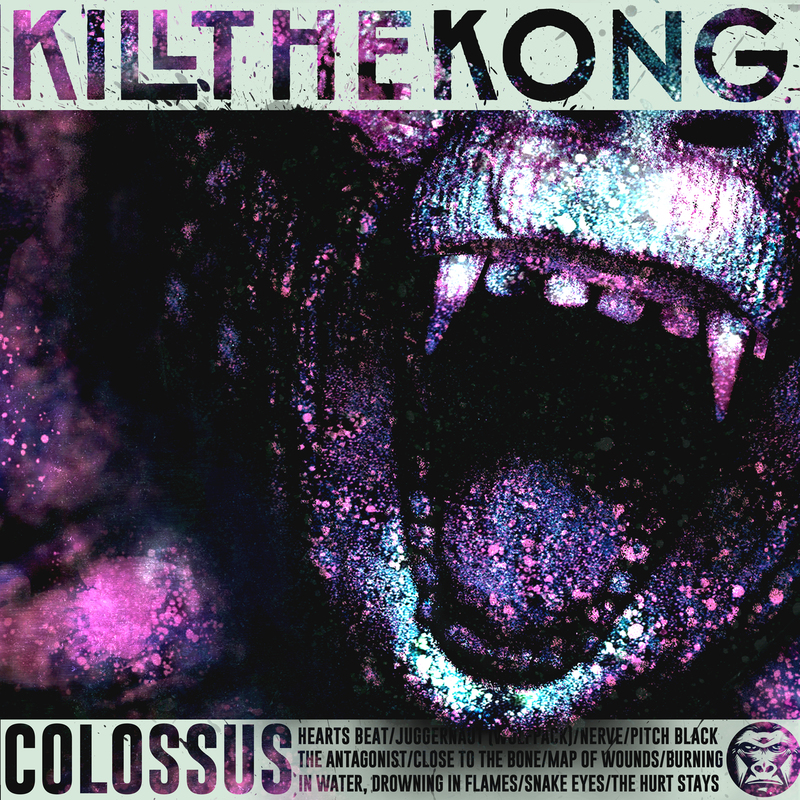 Kill the Kong does just that with “Colossus”. On my first listen through, my own dog was so pumped I was forced to indulge her in a five minute mosh session on the floor. It’s impossible to ignore music of this caliber. “Colossus” will certainly catapult this young band to success. What makes this album so fantastic? Let’s start with the actual band. Currently, the typical metal band has 4-5 members. Two guitars, a dedicated vocalist, bass, and drums. It’s almost impossible to make great metal music without these elements. Every great once in awhile, a band comes around with something extra. More flavors that add delicious layers to the standard composition. Kill the Kong not only features your standard five piece, but add in a second dedicated vocalist and auxiliary percussionist. Rounding out to a dense, seven person ensemble. Challenging to pull off, yet absolute wicked when done right. Listeners will go back to each track multiple times to completely enjoy the thick weave of sound. It’s how Kill the Kong builds these layers that’s truly fantastic. Rhythms intertwine, heightening tense feelings. The tension, coupled with perfectly timed breaks, evoke a certain euphoria when the song cracks open and calamity ensues. These factors give “Colossus” an ebb and flow, as opposed to being a complete tidal wave of noise. After two years and now, two albums, “Colossus” fields a level of musical maturity that many bands can’t find until the third or fourth album. To possess this much talent and mastery so early in a career poises Kill the Kong to be a lasting act throughout the years to come. Heavy percussion and fiery riffs set such powerful energy in motion that it’s impossible to not be whipped into a fervor. Kill the Kong has mastered this energy with their sophomore album. “Colossus” is a straight home run of savagery that will blow everyone away when it drops on November 24th, 2017. Get this album, get their first album, go see these guys live. Pay attention to this band now and keep an eye on them in the future.